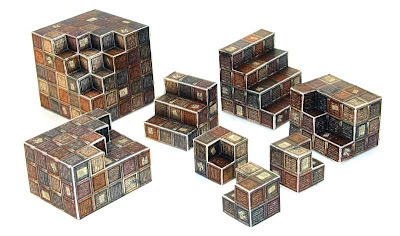 This set contains brand new Kev's Lounge papercraft dungeon tiles, and markers, and a nice selection of 3D papercraft Crate Stack models to add a third dimension to your dungeon delves! With the various layer options this set will allow you to create over 150 completely unique pieces that can be arranged in nearly infinite combinations. 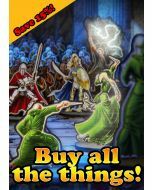 Perfect for table top wargames, skirmish games and RPGs. You will use this fantastic set every time you play! The Ominous Store Room is the first Kev's Lounge Premium Set weighing in at a very reasonable $4.99. 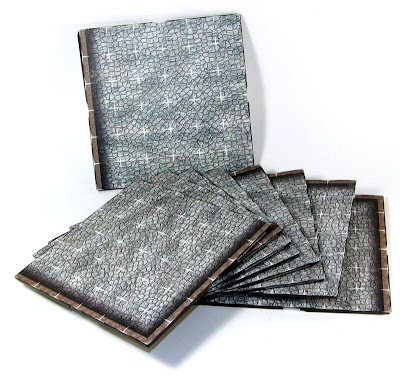 These beautiful 6 x 6 inch papercraft dungeon tiles work seamlessly with all existing Kev's Lounge Dungeon tiles. They make use of the Kev's Lounge Starlinks System to keep them together, allowing you to create some enormous rooms for your most epic battles. Combined with the crate models you can create a beautifully labyrinthine, multi-level battleground for your next skirmish! 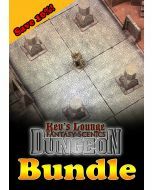 As with every other Kev's Lounge Dungeon Tile set, you will find a great variety of hazard markers, also taking advantage of the layered PDF system to give you control of the floor background, and to add and adjust details to your liking. These are the basic building blocks of the set. They come in a variety of sizes, and each model is completely unique. They are both really easy to make for beginners who are just starting out in papercraft scenery, and useful across the board to anyone. They serve as obstacles, and create higher ground, to take your skirmishes to a new dimension. • Additional optional details, like dirt and splatters that can be turned on and off giving you a huge range of control over the look of your crates. • Optional colour variety, to make the crate stacks less uniform. These are slightly more complex than the Neat Stacks. 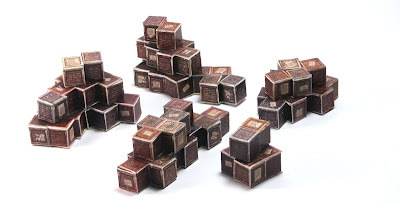 Basically, these are like the Neat Stacks, but with a few boxes missing They will offer a little more challenge to the intermediate papercraft modeller, and they look really good alongside the Neat Stacks. They serve as obstacles, and act as a "staircase" to the higher ground. 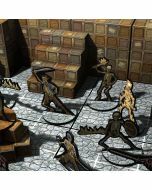 These are really interesting pieces that add an immense amount of visual flavour to a dungeon scene. Each is a unique pile of crates stacked in a random, haphazard fashion. These are a little fiddly to put together, providing a satisfying challenge to the more seasoned papercraft modellers, while not being too difficult for their less experienced brethren. 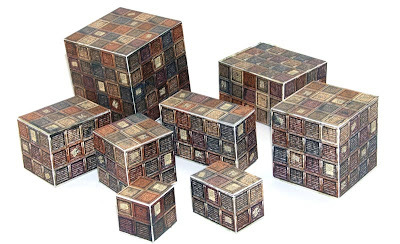 These provide a visually interesting bit of cover terrain that would not be out of place in any dungeon, or street scene. 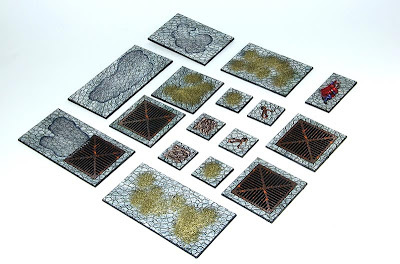 These are particularly great for skirmish games that use visual reference to measure cover. 36 page instruction manual, in PDF format, optimised for screen view to save you ink. Details every step of the process with clear, full colour illustrations. Miniatures used in pictures are strictly for illustration purposes and are not included in the purchase.